All Grain Plus Extract Robust Porter homebrew recipe. 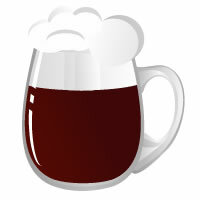 This homebrew recipe uses the following ingredients: Dry Malt Extract - Pilsen - US, Pearl - UK, Carapils - DE, CaraBrown - US, Extra Special Roast, Chocolate Rye Malt - DE, Black Malt - UK, Brown Sugar - US, IBU Inject Hops, Loral Hops, Danstar Nottingham Homebrew Yeast. This recipe was cloned from Exp 6300 Lotus at 60.